Canon’s pitch here is that this is a camera that you can carry with you everywhere you go. Um, just like a smartphone. 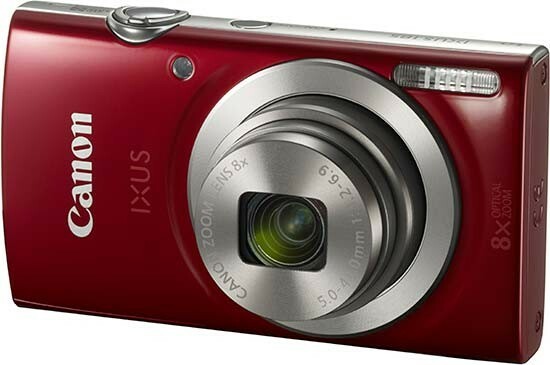 That aside, the compact and stylish IXUS series’ selling points – namely those two points succinctly – haven’t really changed at all over nearly two decades of production. So either its manufacturer landed on a winning formula early, and it has proved to be continuously successful since, or the Canon IXUS 185 is scooping up possibly the last of diminishing returns in a compact camera market, largely cleared of any real competition. To take the positive view and standpoint, this 185 iteration remains a conveniently slender and diminutive pocket sized camera that is stylishly realised and keenly priced, at a penny shy of £120. So whilst some may feel the IXUS’ one-time audience is nowadays satiated by the camera in its equally slim-line smartphone, it appears there is still a place for a good looking, simple to operate point and shoot in a contracted marketplace. With few if any real manual features to speak of, save the ones covered in the body of this review, the Canon IXUS 185 isn’t a back up camera for any enthusiast – it’s ideal for the digital beginner, meaning perhaps the extremes of the age ranges – either the younger or older user. Image quality is adequate, operation is simple, and the asking price is affordable. Add in a stylish design and just sometimes that is enough.